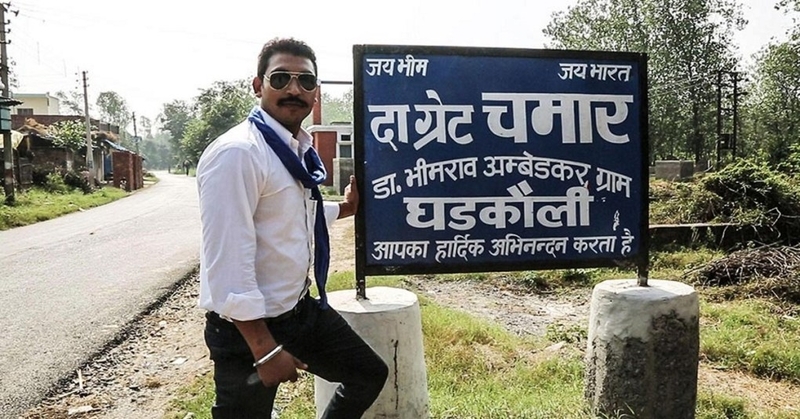 Lucknow: Bhim Army chief and the voice of Dalit movement in North India, Chandrashekhar Azad alias Ravan, was finally released from Saharanpur jail on Friday after 15 months in detention. He came out of the jail at around 2:47 am to a rousing welcome from his supporters who flocked the jail in large numbers after getting to know about the early release order of the Uttar Pradesh government on "sympathetic" grounds. Immediately after his release, Ravan said he could smell a conspiracy behind this order, which was not atv all "sympathetic". He said his early release was because the Adityanath government was scared that they were going to be rebuked by the Supreme Court. "So in order to save themselves, they ordered the early release," he added. "I see a conspiracy in this order and I know the government will again put me the jail in some other case. There is nothing like sympathy, because people who talk about right and wrong or people who are vocal against atrocities are being put behind bars by the government. I am very much confident that within 10 days, the government will again send me in the jai," Ravan told the media. On being asked about his political ambitions after coming out of the jail, Chandrashekhar said he wanted to lead the Dalit movement in India and was not in mood to join active politics. "The aim of my Bhim Army is the fight for equality. I will keep fighting for the people of my community till we are treated equally. I want to make this India the India which B R Ambedkar dreamt of," he said, adding that he would try to strengthen the Mahagathbandhan in Uttar Pradesh which is being made to uproot the Bharatiya Janata Party (BJP) from power. "This government believes more in dictatorship. People are being jailed and slapped with cases under the National Security Act in the name of caste. My fight is against such practices and atrocities of the government and I will try my best to bring in all the political parties in the grand alliance. I will also talk to the parties which are yet not coming for the grand alliance and will try my best to bring them in because the present government is worse than the British rule," he said. Today's Dalit is very well aware about the intentions of this government, he says, adding that the Bahujan Samaj will support the grand alliance (of Samjawadi Party and Bahujan Samaj Party) in the coming elections. The release of Chandrashekhar, after a strong movement on teh ground, has been widely welcomed. Nakul Singh Swahney, a documentary filmmaker, said his release was a victory of the Dalit movement in India. "This is the win of Dalit movement in India because a lot of struggle and protest has been done to bring him out of the jail. The government was very keen to him inside jail and he was slapped with NSA after getting bail from the High Court. Chandrashekhar, today, is the voice of Dalits in the country and people have a lot of hope from him," he added. Ravan was arrested in June 2017 from Dalhousie in Himachal Pradesh along with two associates in connection with the communal clashes that broke out in Saharanpur in April-May 2017. He was granted bail by the Allahabad High Court but state government detained him under the NSA. According to the official release order by the Saharanpur district magistrate Ravan was set free on on "Sympathetic" grounds. State Principal Secretary, Home, Arvind Kumar, said that after considering a representation submitted by Chandrashekhar Azad alias Ravan's mother, the government of Uttar Pradesh had decided to revoke NSA against him and two others. The decision will be conveyed to the Saharanpur district administration and he will then be released from the jail.